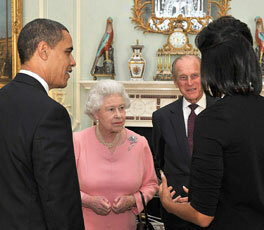 LONDON: China and the US have agreed to set up a "strategic and economic dialogue" mechanism that will have its first meeting in a few months, President Hu Jintao and his US counterpart Barack Obama announced in London Wednesday. The Chinese team will be headed by Vice-Premier Wang Qishan and State Councilor Dai Bingguo; while the US side will be headed by Secretary of State Hillary Clinton and Secretary of Treasury Timothy Geithner. The White House said in a statement that "the two sides will hold the first round of the dialogue in Washington DC this summer". Both presidents highlighted the importance of Sino-US relations, especially amid the current economic crisis. Hu stressed China's commitment to strengthening macroeconomic controls and expanding domestic demand as the two leaders agreed to work together to renew world economic growth and strengthen the global financial system. The China-US Strategic Economic Dialogue (SED), initiated by Hu and former US president George W. Bush in September 2006, served mainly as a bridge in bilateral economic relations and resolving trade disputes. Former vice-premier Wu Yi and her successor Wang Qishan had led the Chinese team in talks with the US side headed by then treasury secretary Henry Paulson. Yesterday, Obama told reporters at the start of the talks that he hoped the two sides would strengthen their relationship to "help set the stage for how the world deals with a whole host of challenges". The White House said Obama and Hu agreed to "intensify coordination and cooperation on global economic and financial issues". In the two leaders' first meeting, Hu said he hoped to develop a good working relationship and personal friendship with Obama. "Good relations with the US are not only in the interest of the two peoples, but also beneficial to peace, stability and prosperity of the Asia-Pacific region, and the world at large," Hu said, adding that the positive results achieved by the two countries have not come by easily. 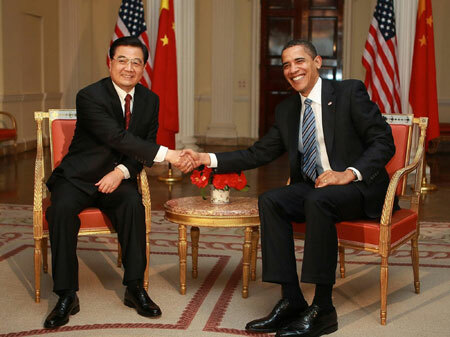 "Relations between the United States and China have become extremely constructive," Obama said. "Our economic relationship is very strong." He described the meeting as "productive and open", and accepted an invitation from Hu to visit China later this year. Hu arrived in London at around noon Wednesday to attend today's G20 summit, and the meeting with Obama was the first item on the agenda of his two-day stay in London. Professor Jia Qingguo of Peking University said: "The United States, after all, is the biggest economy in the world, and Sino-US ties are the most important in China's foreign relations." 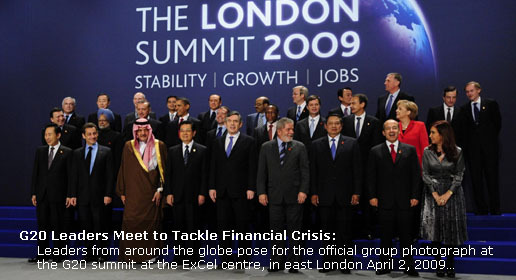 The meeting has drawn global attention. The Australian, Australia's national daily newspaper, said the meeting between the world's biggest debtor and creditor would "determine how quickly the world will move out of depression". There have also been calls for the two countries to establish a G2 amid the crisis, which Jia believes will let China shoulder more responsibility in the international community. President Hu Jintao Wednesday also met Russian President Dmitry Medvedev and British Prime Minister Gordon Brown.